Here's what I created along with those How to do's.. Stamped script and pushed paste through stencil words to add dimension. adding a wash of walnut stain all over the clipboard to create age. branches, coloured and shaded with a combination of pens and ink. 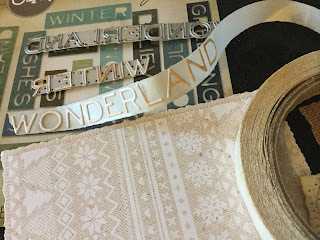 along with a handful of flat back pearls and dots of embossing powder. together with a little red bow adding feature to the clip. and give as a token of appreciation or label a given gift. creating a changeable Chalkboard... How many more sleeps?? Many toppers amongst this pile await their Christmas card completion.. Here's a couple created using double sided sticky tape & a Holiday word die. 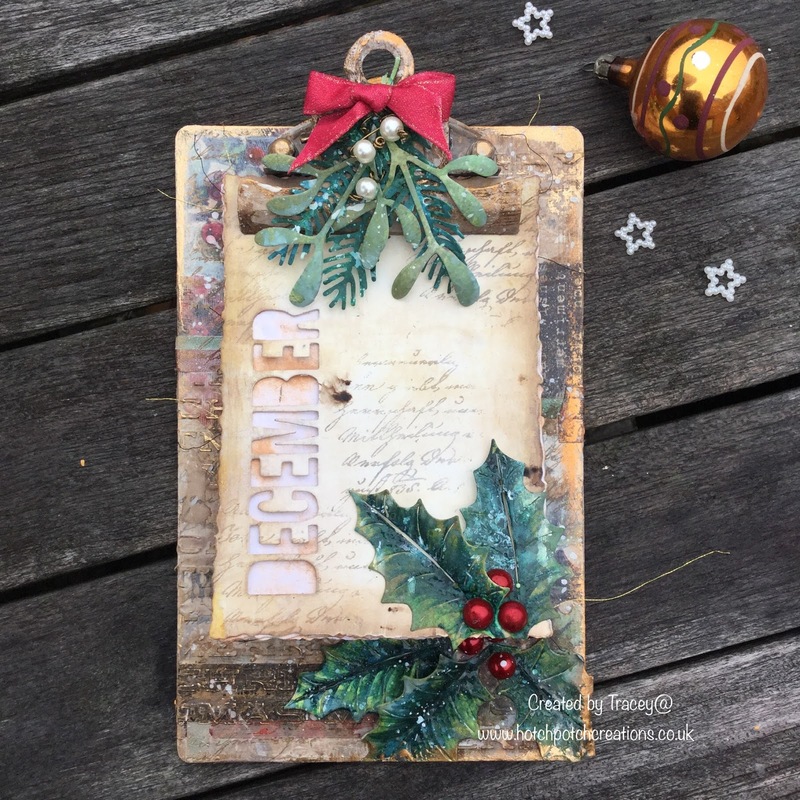 Two toppers, tags or notelets from one die.. Now that I like..
it's created a great cover to hide all those Christmas toppers within it. Think I just might have to create an all year round one of these..
as it would be invaluable to have a ready made card topper to hand. 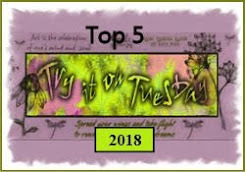 TioT team have created for you this fortnight. I'm sure you will all have some Winter Wonders to share. a BIG Thank you to the TioT Gang for having me. It is a gorgeous winter wonderland project Tracey. 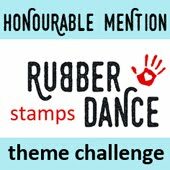 Thank you so much for joining us as our Guest designer for this theme. 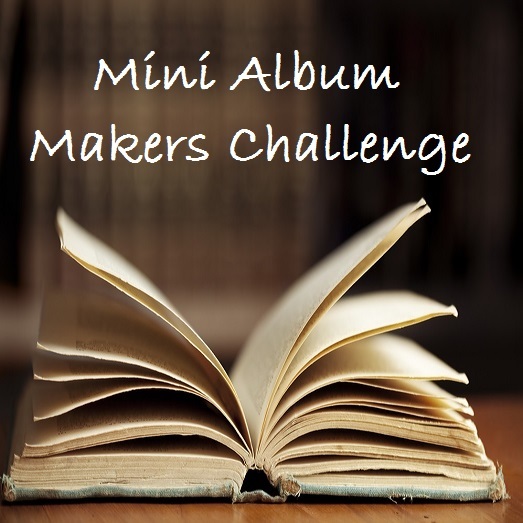 This is a super post with all the photos of the stages and a wonderful idea to use these steps to create other similar pieces during the year. A stunning piece of artwork, Tracey - absolutely gorgeous. So much work involved. 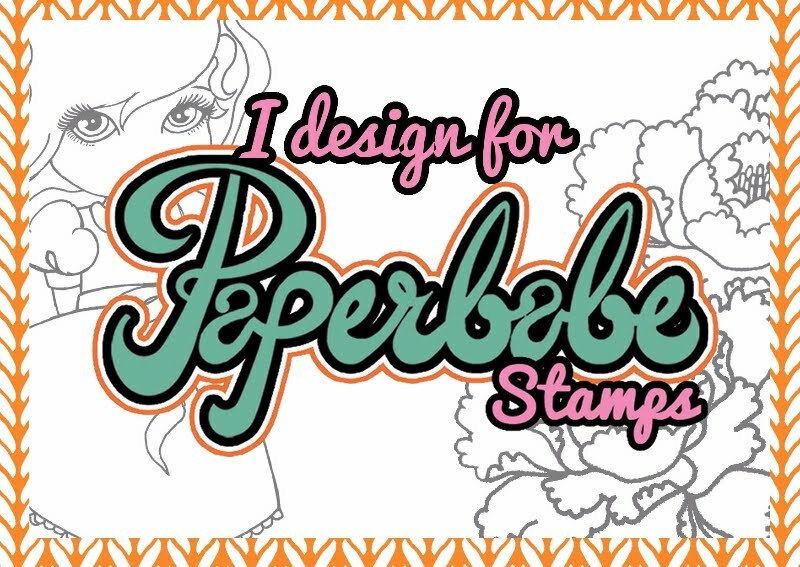 Thank you so much for being our Guest Designer! This is an awesome creation and I LIKE it!! Beautiful, beautiful creations, dear Tracey, love all the nature tones papers you used here,for toppers , and the card holder for December is just wonderful, too. Oh there are so many things to wish for, Tracey, that die could be one of them. 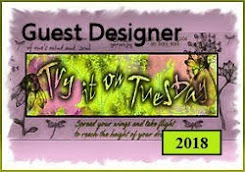 So lovely to see you here, again, and congratulations with the guest designer job !! 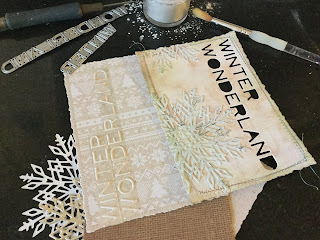 Congratulations on guesting and what a treat your post is today x Love that you used some unloved paper and the texture, the ideas, the layouts on all your creations are truly inspirational. Love the chalkboard idea of how many sleeps to go too x. I am always hugely inspired when I pop in and today is definitely one of those days. So enjoyed the post and what marvellous and stunning creations and looking forward to seeing some of the rest completed too x Thank you x.
I cannot think of a better way to use up unloved papers, your clipboard is truly fabulous! I love how you altered the clip element, it is so full of wonderful texture. The mistletoe and holly are beautiful too. It is such a great idea to create another one too, for the rest of the year, it will be so useful. Oh that is amazing and so beautiful! I love your creations very much. Wow . . . that is so creative! Very beautiful and so creatively done, I also love how detailed your post is. 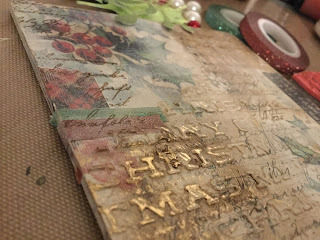 Thanks for sharing this wonderful creation with us at Crafty Cardmakers. I saw this at TioT. It is fabulous. I was so happy you did the step outs, too. 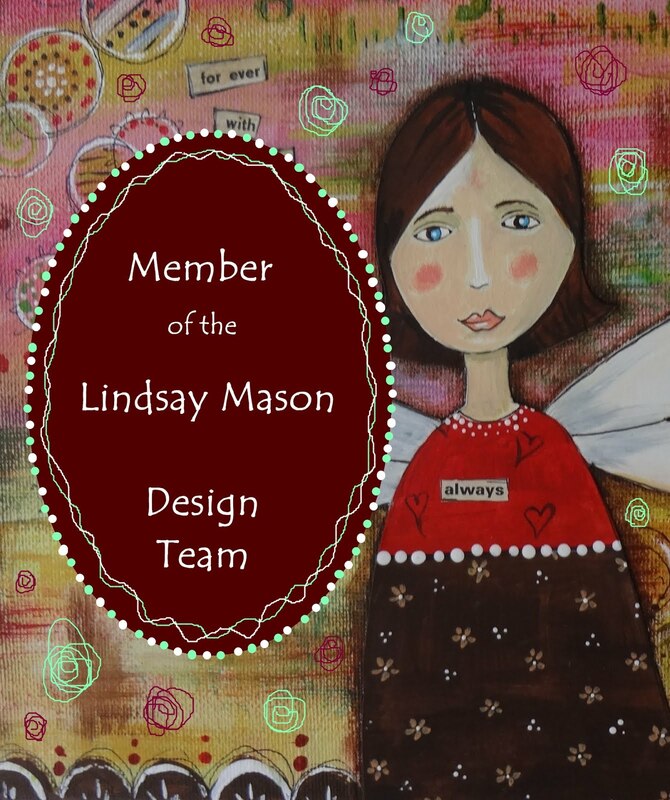 You are a fabulous artist and I can see why they invited you to be a guest designer. Me ha cautivado la transformación del clip...parece que lo hayas tallado de un tronco de árbol. Los muérdagos son preciosos, es una de mis plantas favoritas. 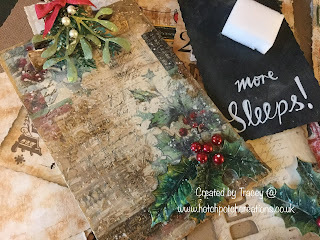 A fabulous project Tracey and I loved seeing how you created it. 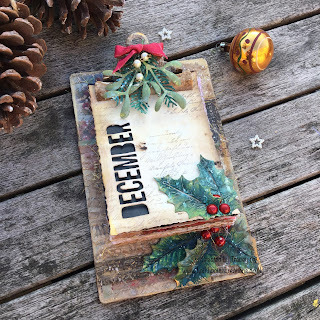 Creating an all year one would be another great way of using up all the unloved papers we seem to store. BTW I love the chalkboard for how many sleeps . Lovely to have you as our GD , thanks again. Oh my goodness, this is so amazing, Tracey!! The texture and crackle are fabulous!! I love the depth of color and the details!! They're so stunning!! Great to have you as a guest at Tra It On Tuesday my friend! You are a stunning artist who never ceases to amaze me! 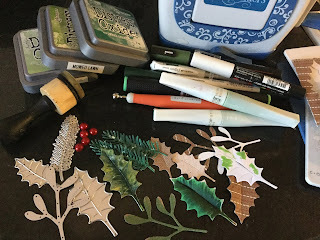 Fantastic clipboard creation, those holly leaves look real and what a great idea using the negative of the die. What a transformation! Thank you for joining in the Crafty Cardmakers challenge. Love your clipboard. The colors and texture are amazing. Great way to use that Paper Stash. Thanks for joining us at A Vintage Journey. 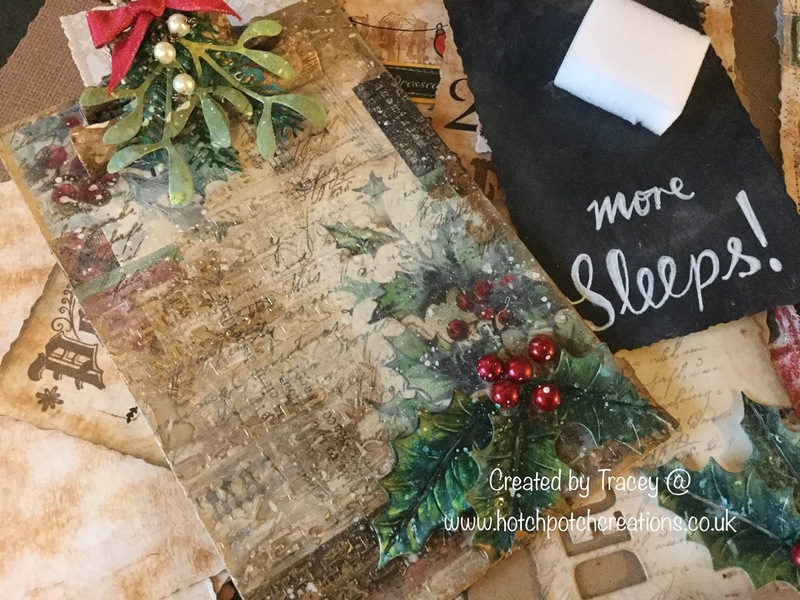 There is very beautiful Christmas feel in your gorgeous clipboard creation, Tracey. Beautiful artwork, you put all pieces together and the result is wow! Congratulations on your guest spot at TIOT - your festive clipboard is an absolute treat. 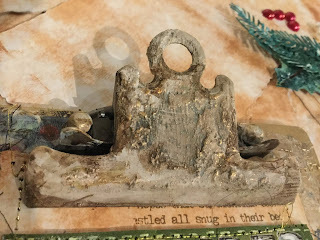 Just love the texture on the clip and great use of the unloved papers. I love them now! Wow - this is just stunning! So many amazing details!! What a transformation of a simple clipboard. Beautiful background and the greenery looks gorgeous. I hope you create an all year round one or one for each season. 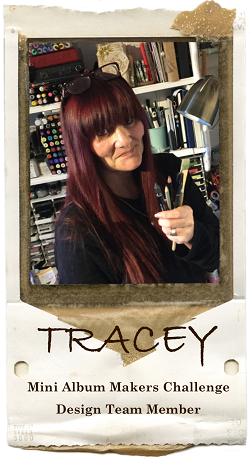 Beautiful work, Tracey! Oh goodness, what very lovely work and so much detail to enjoy. 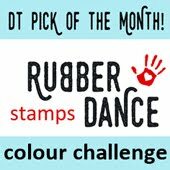 Congratulations on your Guest DT spot at TIOT! They are certainly blessed to have you create for them! 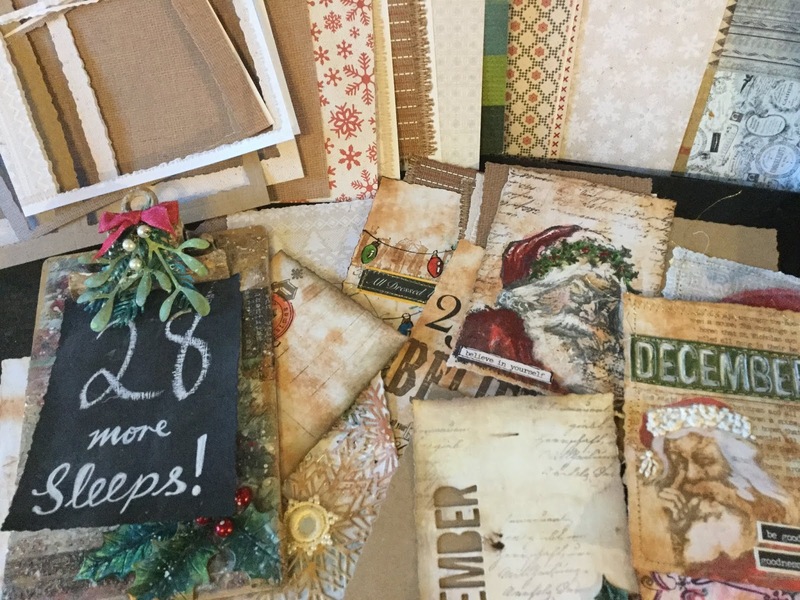 This is a genius and truly beautiful to count the days down to Christmas and to use your papers. 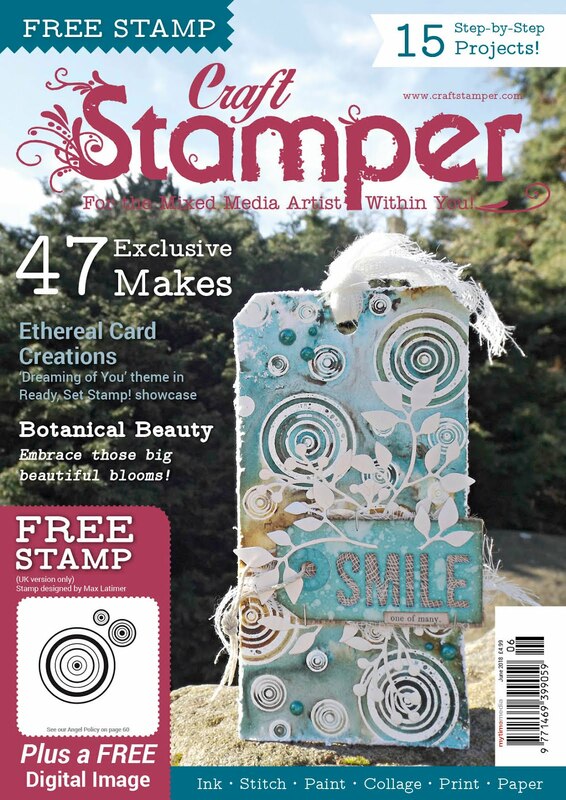 I love that stencil work, grungy clip and fabulous greenery! Wow! This is a real stunning project! Merry Christmas! 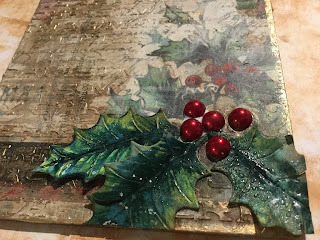 I am back to give thanks to you for linking this up at A Vintage Journey! Merry Christmas! What an absolutely stunning piece! I loved seeing all of the components and how you put them together. There are so many layers of delicate lovely things and it came out beautifully. I like the traditional flair, yet it is so fresh and unique! 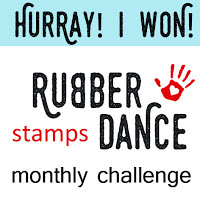 Thank you for sharing your talents with us for this week's Simon Says Stamp Monday Challenge! 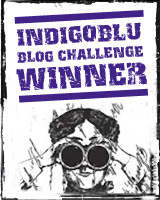 Congratulations on your guest post! And WOW and WOW! I just Adore what you did with that clipboard! And the way you have painted your holly leaves, they truly look life like Tracey! 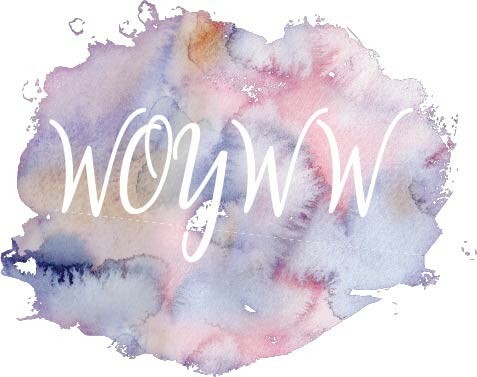 Oh, wow! You really have achieved some fantastic texture on your awesome project, Tracey! The clipboard has become a true beauty. So much detail to look at and dwell in! 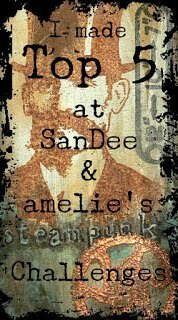 Thank you for joining in our challenge over at SanDee&amelie's Steampunk Challenges!